This month Melanie of Earthenwood Studio sent the design team a Gothic heart-themed set of ceramic beads to work with. 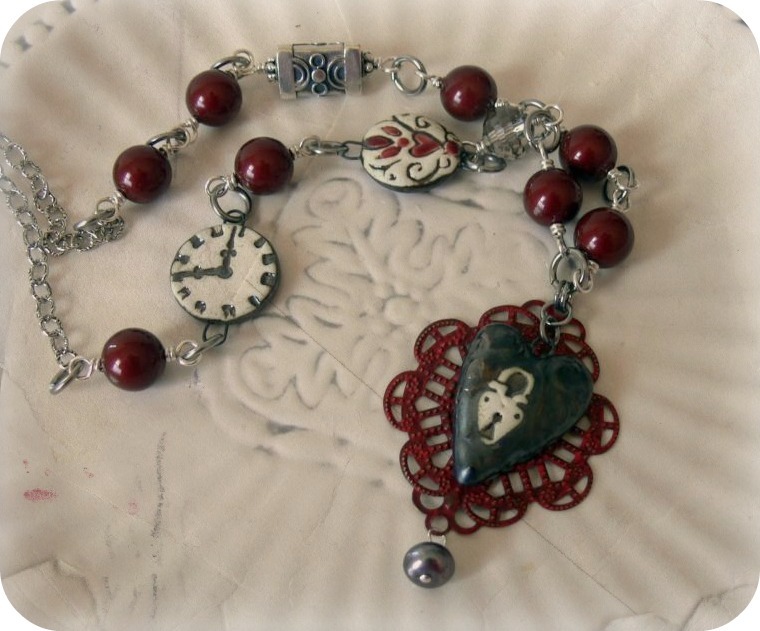 Included were a heart pendant, a round link with a heart motif, a clock link, and two plain links. One of the links I was sent. During the time I designed this necklace, I was reading a book called "Darling Jim", a dark thriller about three sisters and their aunt (and the entire village, really) entangled and enthralled by a dangerous, mysterious drifter. The book is full of love found and love lost (mostly lost), and I thought about how the heart can lock away memories of lovers past for years upon years, taking those memories out from time to time to dust off, carefully remember, and then lock away again. Therefore, I present "A Time For Love". 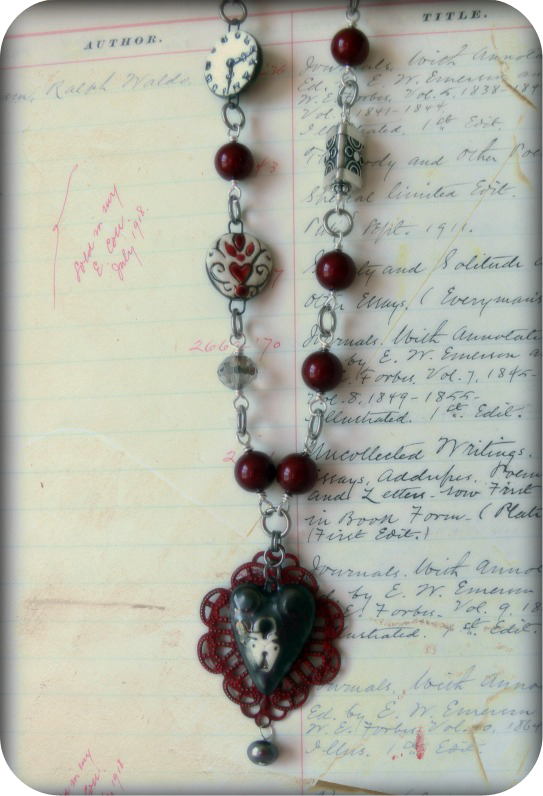 I backed the heart lock pendant with brass filigree painted a deep red (from Paloma Antigua) and added a cultured pearl that matched the hematite gray finish of the ceramic. From there I linked Bordeaux Swarovski Crystal Pearls, a single gray crystal from my Lonely Hearts Club stash (a little tin of single beads waiting their turn for beady greatness -- rather appropriate in this case! ), and the two ceramic links from Earthenwood. I added another member of the Lonely Hearts Club -- a Bali silver bead -- and linked them all together with stainless steel and a sterling silver chain. And as you can see, I played around a bit with the photos to give them a gothic, Victorian look. The book behind the bottom picture is an antique ledger from a library -- the librarian marked books in and out with it. And since we're talking love, let me show you what I got for Valentine's Day yesterday from my dearest of husbands. You may remember that I collect vintage cameras, but I also have a thing for typewriters. I have two antique typewriters, but I've been on the lookout for...... a pink one. And now it's mine! I was so excited I could have done cartwheels had I known how. It looks wonderful on my photo prop table, and it came with its original case and manual. Now we're on a typewriter hiatus -- at least until next Christmas! 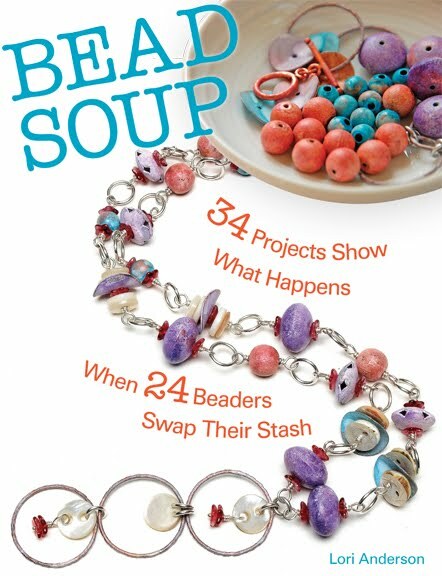 gorgeous colors and design...the beads are wonderfully eclectic and you created a treasure! What inspiration! I love love love everything about this post. And I'm ordering the book at the library. I absolutely LOVE that typewriter! Your hubby needs to talk to my hubby. I love vintage typewriters! I hadn't even thought about a pink one but my gawd... I WANT one now!! happy day for you...beautiful design and a gift you've always wanted. Ok random thought...lets say Barbie owned this typewriter,(cause it looks like she could have). She got super pissed at Ken (he borrowed one of her pair of shorts) and wrote a kidnap letter on said typewriter demanding her shorts back or death. Three days later they found Ken's body washed up on a beach. Barbie vanishes. The police traced the letter back to your typewriter and BAM your in jail for Ken's murder. Oh, I do love how you've tied this piece into something you've been reading. Memories locked away and then dusted off is quite evocative of what many of us experience in life. A pink type writer. How amazing is that? I didn't even know they made them in pink. And I do love type writers in this weird way that links back to having to take typing (because I was a girl) in high school. Yes, I know that definitely dates me. It's a very sweet gift. 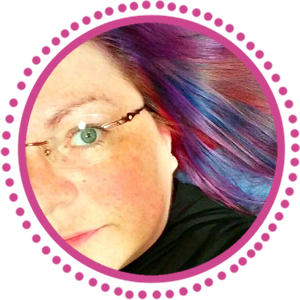 I love the necklace you designed, Lori! It is gothic and beautiful! The necklace is great!!! Think I should read the book if it is as good as the necklace looks. very lovely designs, what a great gift from your hubby. 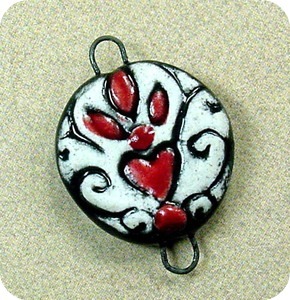 I like the patinated filigree mounted on the back of the heart pendant. And, that pink typewriter ROCKS! Love the photo styling on this one! I have to get my behind in gear and make something since I got the extras I ordered from Melanie just the other day. Nice colors in the necklace. Love the pink typewriter. Stunning necklace! I love it. The Gothic heart necklace is stunning. How creative you are to tie it up with the book you read, and the library ledger. 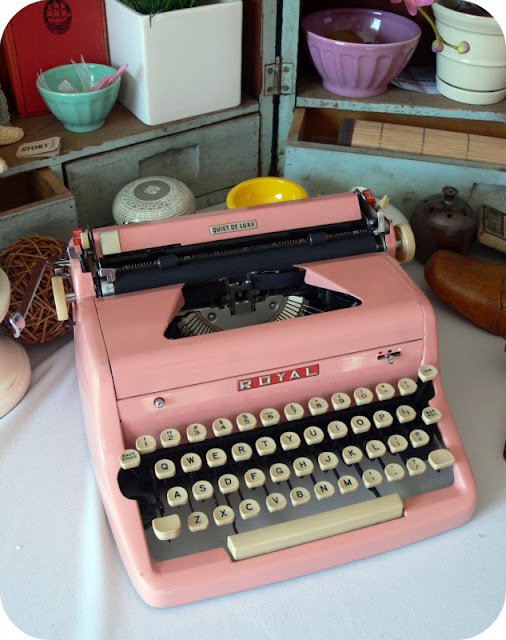 Love the pink typewriter, your husband was so nice, it can not have been an easy find! I LOVE the red and black in that necklace. Its dark and smokey feeling...........like a tragic romance. I think the pink typewriter is so sweet, since your husband knew just what to get you:) And its really cute too. What a cute typewriter. Kudos to R for finding it! A double "love" today. The necklace is so interesting! I wonder what Paloma used to paint the filigree red...Just love the color. Acrylic paint? Sealed? Just curious. And being a writer by training the pink typewriter just tickled me...well...PINK! I have a really old one from the early 20th century. I haven't a clue where to get a ribbon for it but I keep it anyway. I love the necklace! That typewriter is beautiful. Go hubby!! I can see it as a prop for jewelry photos. It looks like it is in great condition. So LOVE the PINK! I'v never seen a pink typewriter before. What a darling husband to accompany you in your journey for old things. I love your design, Lori. My favorite colors too. And, I actually typed on a Royal typewriter on my first job. Sorry it wasn't pink though. That would have been really fun! Love your posts. How did he know you wanted that typewriter?? He's a keeper, that's for sure. Your necklace design is really nice too! Love the necklace design - my fav color, red. And that typewriter - I envision pink type coming off its keys. It looks in great condition - lucky you! Wow, I don't even like these colours but I find myself strangely drawn to this design. Your necklace is hypnotic. 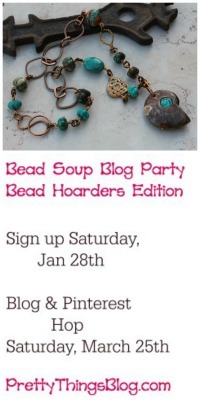 And some genius use of leftover beads, if you hadn't shared that info with us, I'd never had guessed. As for your hubby, well he's even more precious than the adorable typewrite he gave you. After the post you wrote on Cristmas gifts, I'm convinced he's a bit psychic or something. Love how this necklace came out--so beautiful and wearable! And what a good idea to have a special tin for single beads. Okay, so that necklace is divine! There's something about those dark gothic books, isn't there? Oh, and a bit of trivia - Royal Typewriter was located here in Hartford, CT. The building burned down in 1992. I drove by it on the highway as it was on fire. Love your necklace! A pink typewriter, didn't know they made them, love it. OMG!!! that typewriter is to die for, what an awesome hubby. 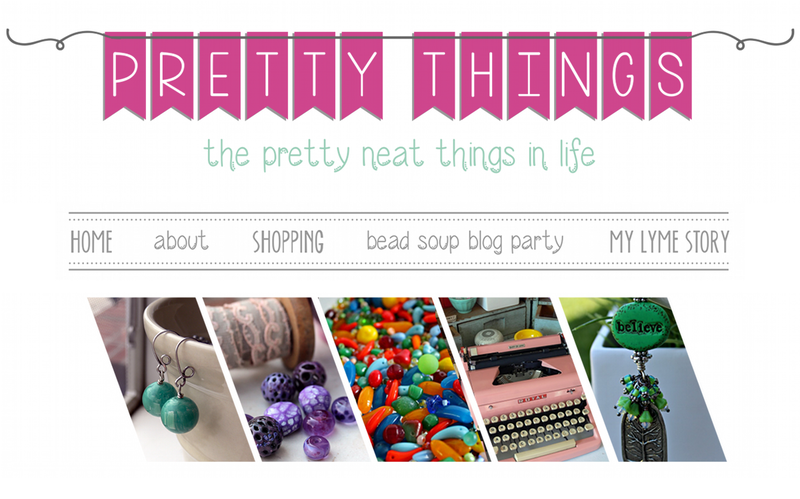 Love your blog, and the pink typewriter! !